Everyone has been really raving about this newest look. 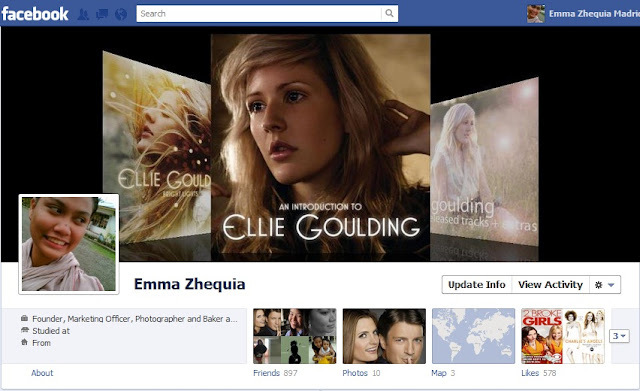 The Facebook Timeline! 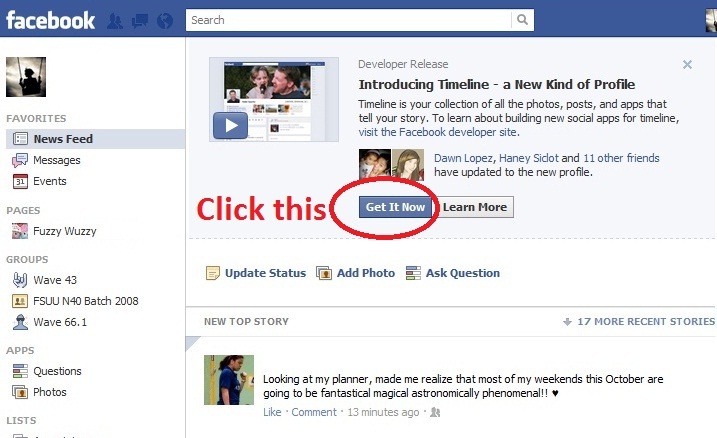 Here is a short clip of the newest way to share your life in Facebook. You don't have to panic, here are a few simple steps to enable this on your profile. Step 1: Log in to your Facebook Account and search for Developer on your Facebook Search Bar. Step 4: Perform Security Check and Submit. Step 5: Click the Open Graph on the left column. Step 7: You will then find this! And yes, Click on Get it Now! Step 8: Be busy creating your cover! Enjoy your Facebook Timeline.